Sujit Choudhry is currently the Cecelia Goetz Professor at New York University School of Law. An Indian-American, expert in comparative constitutional law, has been named dean of a top law school in the US state of California. His five-year term at the University of California, Berkeley, School of Law will begin on July 1. 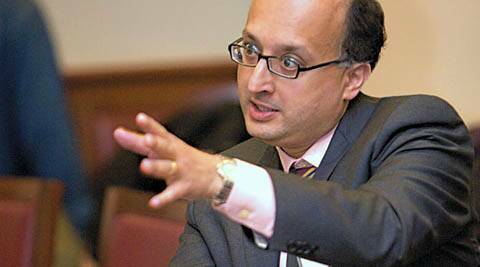 Sujit Choudhry, 44, is currently the Cecelia Goetz Professor at New York University School of Law and is the founder of its Centre for Constitutional Transitions. In a statement, the University of California Berkeley Executive Vice Chancellor and Provost Claude Steele called Choudhry a “brilliant scholar, professor, and mentor,” who would inspire and lead with “big ideas” during a time of rapid change in the legal profession. “Choudhry’s enduring commitment to social mobility, diversity, and educational excellence will bring renewed energy to the law school’s core mission of public service and community engagement,” said Steele. The Indian American called the Berkeley Law deanship the opportunity of a lifetime. “Berkeley Law is simply a remarkable institution,” said Choudhry. “I am deeply attracted to Berkeley Law’s public mission, it is committed to equality of opportunity, academic excellence, and diversity like no other law school that I know,” he added. Referring to the changes facing legal education, Choudhry said the future belongs to law schools that “seize upon this moment as an opportunity for innovation” with “energy and imagination”. A prolific scholar, Choudhry has published more than 70 articles, book chapters, working papers, and reports. In 2011, the South Asian Bar Association of Toronto had named him Practitioner of the Year.